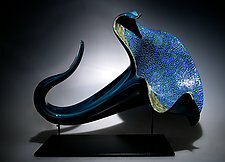 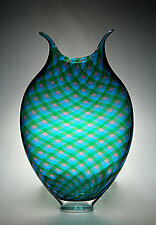 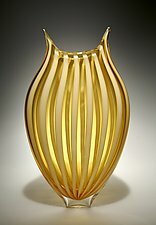 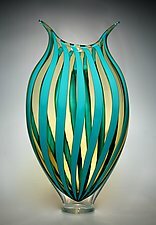 "I find glass as seductive as it is challenging. 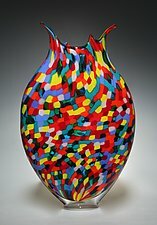 The challenge of designing and executing complex work satisfies me as both an artist and a craftsman. 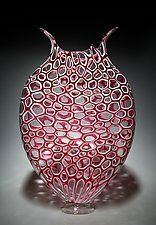 I find it exciting to spend days creating a piece and then to watch it come to life in the fire. " 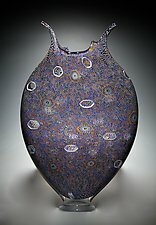 Patchen considers the graceful shapes of his works to be three-dimensional canvases on which to explore how glass holds detailed elements in suspension and bends light. 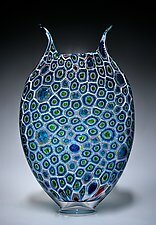 Patchen is influenced by textiles, patterns in nature, and the marine environment. 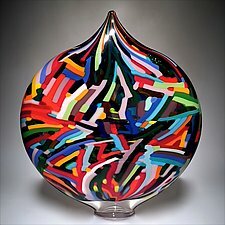 Through the medium of glass, Patchen plays with the ideas of contrasting transparency and opacity and the creation of ''windows'' with views into or through his pieces. 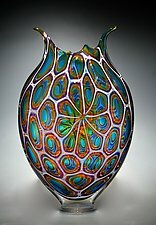 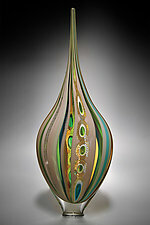 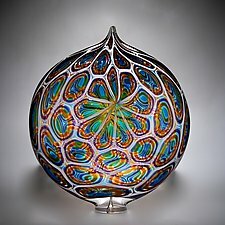 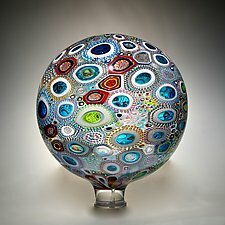 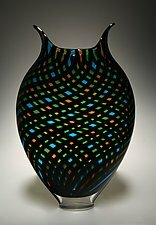 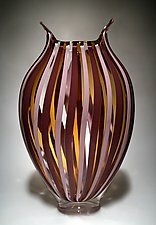 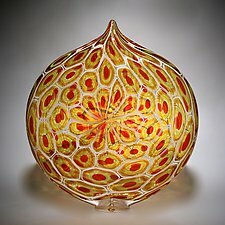 David Patchen creates art glass that explores pattern, color, and transparency through the use of multi-layered cane and murrini—some of the most difficult techniques in glass. 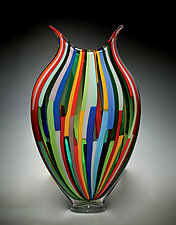 Each piece is begun by meticulously planning color combinations and patterns. 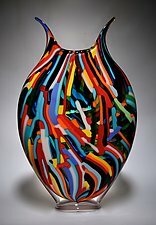 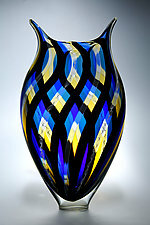 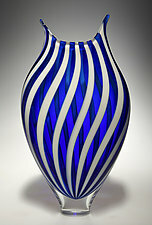 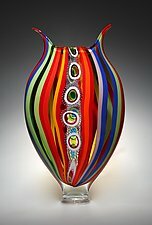 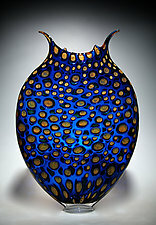 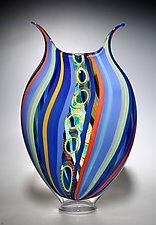 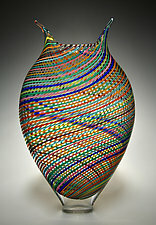 To create the intricate stripes and patterns for which his work is known, Patchen first has to create the necessary cane and murrini by layering multiple colors and stretching hot glass into rods. 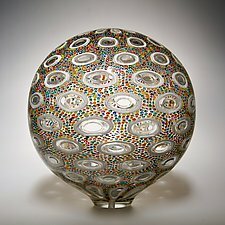 Once the glass has cooled, Patchen cuts and arranges the rods into a mosaic to design the final work, a process that can take days. 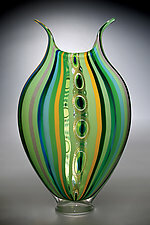 The compositions are fused and wrapped around a bubble of liquid glass to begin the blowing process. 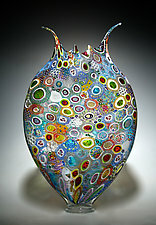 David Patchen's work is well-known for its intricate detail and vibrant color. 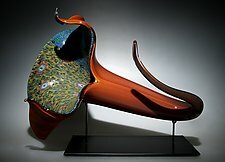 His work is widely collected, has received numerous awards, and is exhibited in galleries and juried shows internationally. 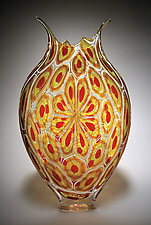 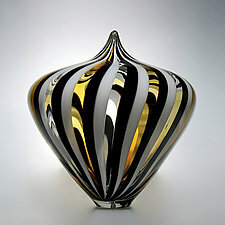 His book, "Explorations in Murrine," is in the permanent collection of the Library at the Corning Museum of Glass as well as Fondazione Giorgio Cini, Centro Studi del Vetro (Glass Study Center Library) in Venice, Italy. 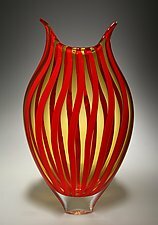 While primarily self-taught, Patchen has studied at Pilchuck Glass School and with talented artists including Afro Celotto in Murano, Italy.